Have you ever encountered a work of art that captured your attention and left you speechless? Perhaps you saw a breath-taking display of vibrant swirls of color that leaped off the canvas or were you simply intrigued by a black and white photo from a forgotten era? Did you savor the graceful design of piece of sculpture or did you marvel at the details of a landscape or portrait that evoked such a sense of joy so that you closed your eyes, moved your head from side to side and sighed “my, my, my” each time you thought about the artist and the work? Art has the power to touch and transform the lives of those whose share a rare golden moment of enlightenment. 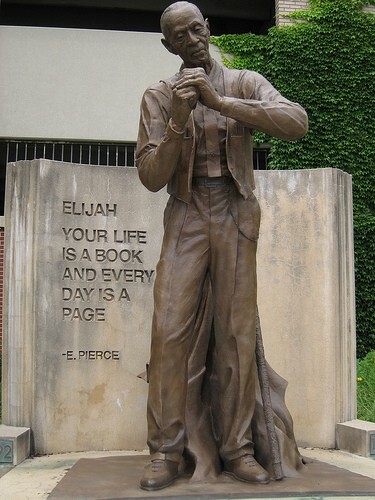 I recall such an artistic encounter with Elijah Pierce (1892–1984), the renowned folk artist, recognized as America’s foremost woodcarver of the 20th Century. 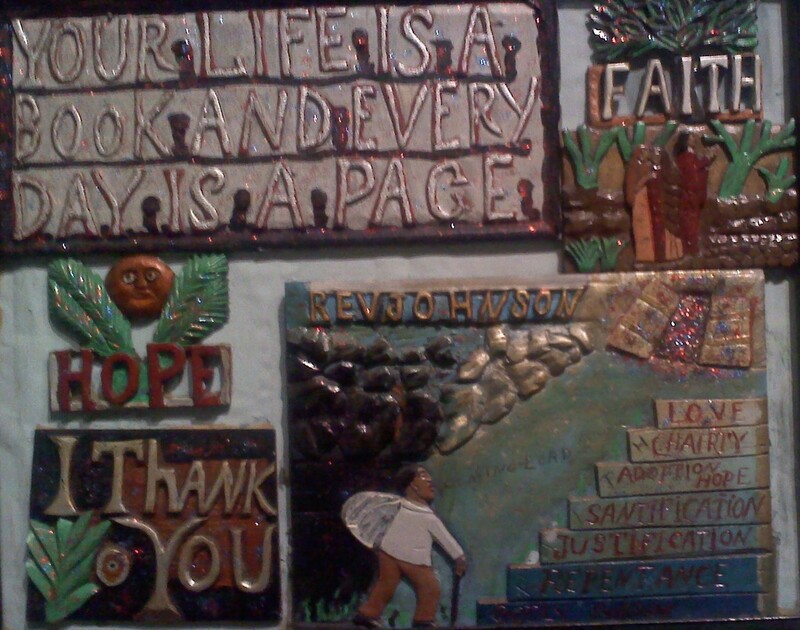 Primarily religious in theme, his carvings depict scenes from the Old and New Testaments, along with notable figures in African American culture, such Martin Luther King and athletes, like Joe Louis and Hank Aaron and others. I was living in Columbus, OH when I learned of Mississippi-born carver who was also a barber whose shop was located on Long Street near the downtown area. In addition, he was a minister who used his carvings as teaching tools, as he and his wife ministered throughout the South and Midwest during summer months in the 1930s and 1940s. Among his artwork used for that purpose was The Book of Wood. Completed in 1932, the series of 33 carved panels portrayed scenes from the life of Jesus, representing the number of years of Christ’s earthly ministry. 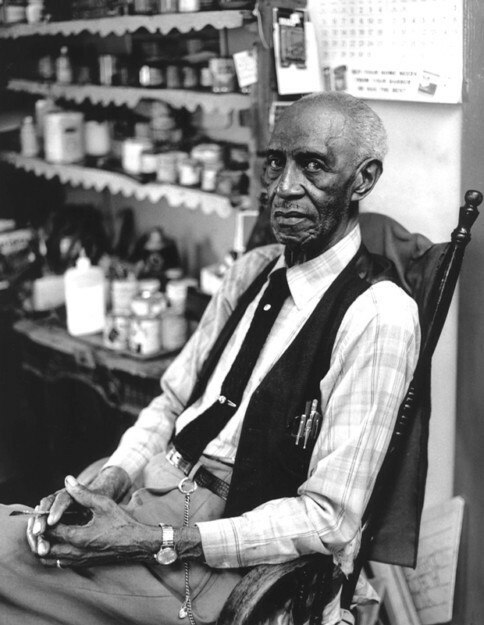 Woodcarver, barber, and minister Elijah Pierce was also recognized as a man of great wisdom. This woodcarving by Elijah Pierce captured my attention like no other work of art. As an author and teacher of literature, the metaphor was particularly meaningful to me. In addition to the statement itself, near the center of the carving I read my name: “Reverend Johnson” which seemed to magnify and pulsate before my eyes, as I pondered the message so clearly spoken to me. I was visibly shaken and moved to tears, as I acknowledged to myself “Rev. Pierce, you got that right. . . I see what you’re saying.” He communicated the heart of God in a wood carving that profoundly impacted me. That close encounter of the most intimate kind inspired this poem with the expanded quotation from Rev. Pierce as its introduction. Your life is a book, and every day is a page. because you’ve already written into the pages of life. And that life will be open in the eyes of God. When the book is finished, you cannot deny it. We all write our story, whether fool or sage. In applying hearts unto wisdom as we age. The impact of one life with its living message. Your life is a book. Work heartily as to the Lord — forget the wage. His purpose, for each day we write as we progress. “Most of us know the feeling of being moved by a work of art, whether it is a song, a play, a poem, a novel, a painting . . . . When we are touched, we are moved; we are transported to a new place that is, nevertheless, strongly rooted in a physical experience, in our bodies.” Without question, a work of art has power to touch our lives in unforgettable ways.